Srikanth Reddy - SharePoint: Branding SharePoint ! 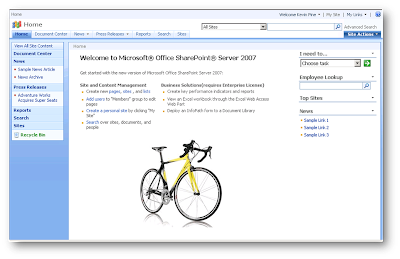 There are lots of articles and tips for branding SharePoint 2007 and customizing the look and feel. Just do a Google search or hunt down the bloggers that specialize in this area. But what if you are under the gun to do a SharePoint branding/customization job and you really need to absorb all of the details fast and get the job finished as soon as possible? In my mind, you can't find a better solution than our Extreme Makeover SharePoint 2007 Edition course. It's a three-day class and will cost you roughly $2000, but you will leave with a thorough understanding of how to do this type of work and will have worked through numerous hands-on labs practicing the art. The full course description and outline is available here. On top of all this, the course was written and is taught by a true expert in SharePoint branding and customization. 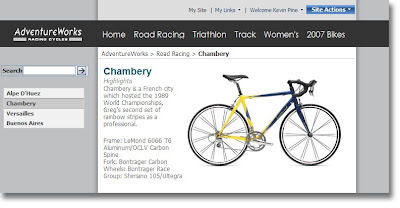 You won't often hear his name tossed around in the SharePoint Community, but he has as much, if not more, experience branding SharePoint as anybody out there. His name is Kevin Pine and he has a background as a professional web site developer. For the past three years, he has been devoted full-time to SharePoint branding here at SharePoint Solutions. He wrote our Extreme Makeover 2003 course that was very successful and popular during 2003 - 2006. He has also done numerous SharePoint branding projects for our consulting clients including BP, Central Michigan University, Sarah Cannon Cancer Research Institute, and many others. On top of all this, Kevin is an outstanding classroom teacher. 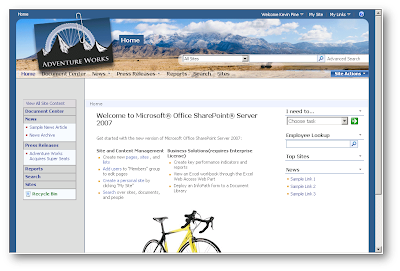 So, if you need to come up to speed quickly on all of the details and nuances of SharePoint 2007 branding and customization, in my opinion you can't find a faster and better way to do this than come take Kevin's class.